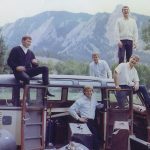 Jim Gallagher talks to G. Brown about growing up in Boulder (0:56), joining the Astronauts (3:15), getting signed by RCA to compete with the Beach Boys (9:00), recording a live album at Tulagi (14:10), being the first-ever Colorado act to chart (15:18), breaking into surf movies (19:48), finding out the band was huge in Japan (24:24), lamenting the worst song they ever recorded (31:58) and hearing the Beatles for the first time (34:00). 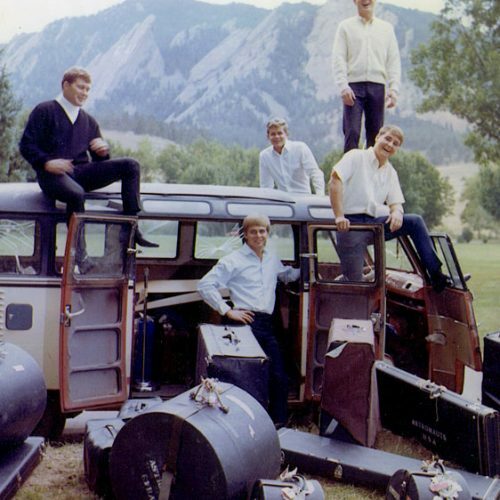 Circa 1962, the Astronauts played rock ‘n’ roll and R&B hits of the day to pre-hippie crowds around the University of Colorado campus. RCA Victor wanted a surf group of their own to compete with the Beach Boys. 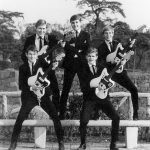 So even though the landlocked group had never played surf music (or even surfed, for that matter), the classic Astronauts lineup— drummer Jim Gallagher with Rich Fifield, Dennis Lindsey and Bob Demmon on guitars amd Jon Storm Patterson on bass—ended up with a long-term recording contract. 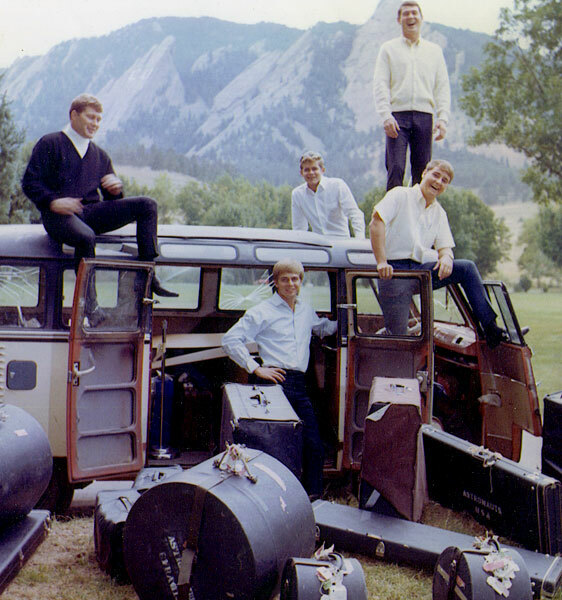 The Astronauts were the first Boulder band to make the national charts. 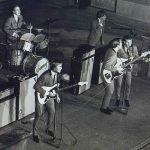 “Baja” became their signature song in late summer 1963, occupying #94 on the Billboard Hot 100 and beginning a string of hits on Denver’s KIMN radio. The single, a surf instrumental, was taken from Surfin’ with the Astronauts, their first of eight albums. The Astronauts returned to their frat rock roots for two live albums—one recorded at their own Club Baja in Denver and the other at Tulagi. The band also appeared on television’s Hullabaloo several times and had cameos in several teen movies. Ironically, the band enjoyed its greatest success in Japan, outselling the rival Beach Boys. Five albums and three singles made the Japanese Top 10; “Movin’,” titled “Over the Sun” for the Japanese market, hit No. 1. 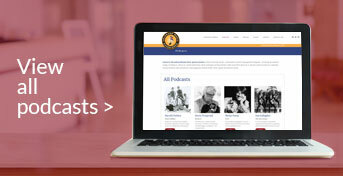 In America, like hundreds of bands, the Astronauts—named in honor of Boulderite Scott Carpenter, one of NASA’s first spacemen—achieved a sort of working prosperity, constantly touring a mind-numbing blur of regional colleges, gyms and bars. In 1967, the draft struck, and Gallagher wound up serving in Vietnam, essentially finishing the band.